Five little ducks went out one day over the hill and far away. We’ll be honest, we have no idea where this song originated, all we know is we love it – and so will your child. The tune and lyrics are simple and repetitive but what’s great about it is it will help your child enjoy learning to count. Beware, it’s very catchy and you’ll probably end up signing it yourself when you least expect it. 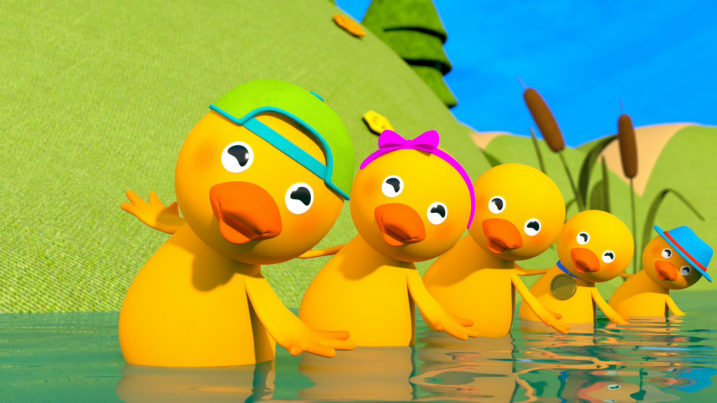 As always, our version of Five Little Ducks is completely original. We decided to set it in a pond and give the baby ducks a space to play in. 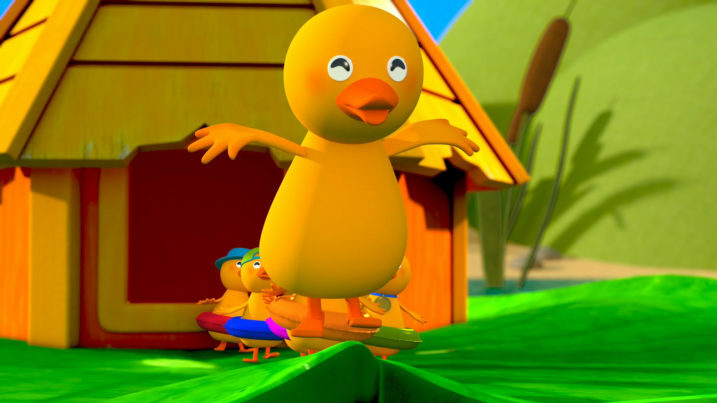 As each verse unfolds, more and more of the little ducks go over the hill and far away and don’t come back – but don’t worry, the whole family is reunited at the end when they take a bow and play a game together. If you’re child likes number songs, why not check out our Number Songs Playlist on YouTube, you’ll find plenty more there. But only four little ducks came swimming back. But only three little ducks came swimming back. But only two little ducks came swimming back. But only one little duck came swimming back. 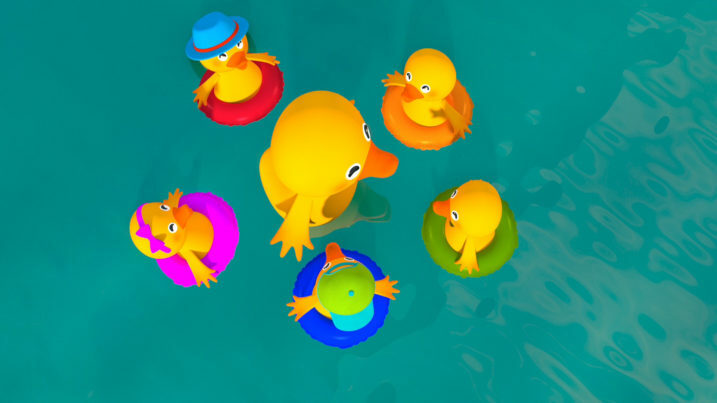 And the five little ducks came swimming back. Copyright © 2016–2019 HuggyBoBo All Rights Reserved.